...like an SUV, even though it’s Porsche-Macan-sized and has more cabin space. 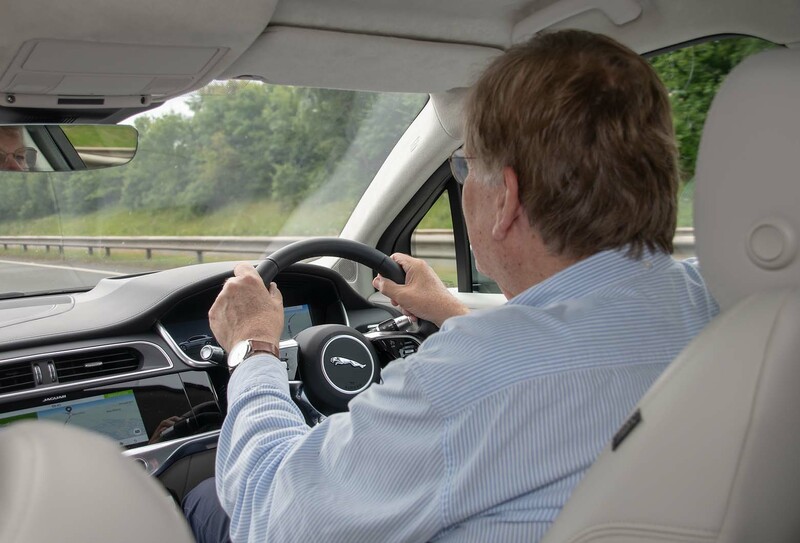 This journey we’re about begin, a 329-mile, seven-hour drive from central Edinburgh to Jaguar’s design HQ on the outskirts of Coventry, is exactly the kind of duty for which the revolutionary electric I-Pace has been devised, I decide. The thought springs into my head as we stand on the pavement outside our hotel and the car glides silently into the morning light from its underground car park. Compared with Einstein’s theory of relativity or Archimedes’ principle, this is hardly a Big Thought. Indeed, it may strike you as blindingly bleeding obvious. Yet so extraordinary has been the fuss surrounding the design and debut of Jaguar’s (and Britain’s) first premium all-electric saloon that thoughts about the life it might lead in ordinary service have seemed almost beside the point, until now. But today, these things will take centre stage. 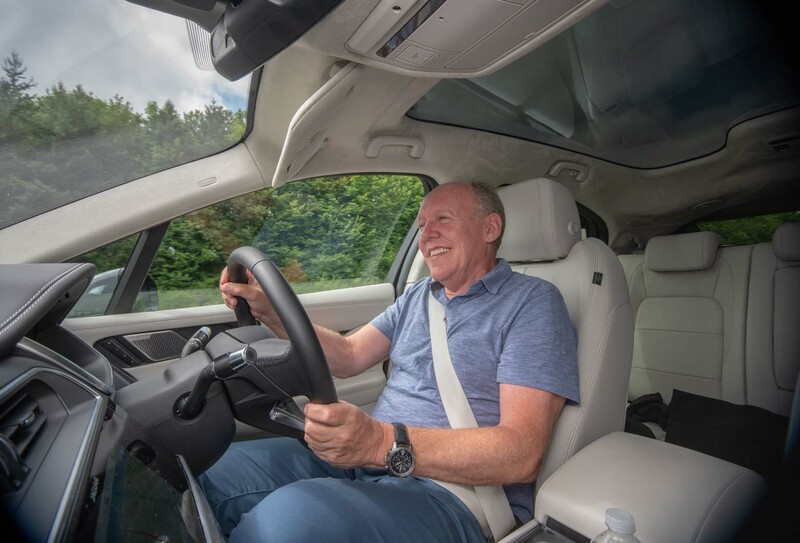 My mission is to accompany the design boss of the I-Pace and every other recent Jaguar, Ian Callum, on a routine journey back to base in Whitley, a couple of miles south of Coventry. Callum has been in Scotland doing family stuff and commemorating an anniversary: it’s 50 years since, as a schoolboy, he wrote his now-famous letters to Jaguar boss Bill Heynes, receiving prophetic and highly relevant advice about how to achieve his goals. Callum has also been revisiting the Edinburgh Jaguar dealership he went to with his grandfather to see an E-Type, that precious journey undertaken in an I-Pace because the model is every bit as significant today as the E-Type was in its age. Various navigation programmes, including the one in the car, suggest our journey is going to take around seven hours, allowing for the traffic that always clogs the motorways of northern England. Onto that we add an hour, the time we reckon it’ll take to charge the I-Pace’s 90kWh bank of batteries from the expected 10-20% they’ll contain when we arrive in York, roughly 200 miles due south. We set off knowing we’ll need to charge within 40 miles to be safe, and again with around 100 miles to run. This will cost us an extra hour and might make an easy journey feel more laborious. We’ll have to see. Still, tasting for the first time the smoothness, near-silence and perfectly accurate responses from the accelerator is positively uplifting as we roll out of town around 9.20am, heading due east to Dunbar, where the morning traffic has already subsided and where Zap-Map suggests a first stop at a garden centre just off the the coastal A1 where there’s a 50kW rapid charger. ‘Juice’ flows into our depleted battery while we take coffee and then we turn south to follow the coast, as planned. I have already sampled and dismissed the I-Pace’s Eco mode. I simply can’t bring myself to ask for something that deliberately dulls this car’s wonderfully precise accelerator response. Better to drive more accurately myself. The regenerative braking is a revelation: you get 0.2g of regenerative deceleration when you ‘lift’ and another 0.2g of regen from fairly gentle first pressure on the brake pedal, so you hardly ever have to use the friction brakes, which you soon come to view as efficiency killers and tools of last resort. Callum, for those who don’t know, is fine company on any journey. He has endless anecdotes, seems as interested in you as you are in him, will talk or not talk as conditions demand, is only ever modest about his own towering achievements (constantly crediting his team) and doesn’t even need to talk cars constantly, even if the I-Pace is, understandably, proving fascinating subject matter at the moment. I remark on something that struck me as soon as I saw my first I-Pace, not far short of two years ago: that despite the interior space, high roof and higher-than-saloon driving position, I never really see this caras an SUV. It’s too graceful. Callum takes that, although he’s firm on the car’s status as an SUV. It’s as big as a Porsche Macan and considerably more spacious for people and luggage. Jaguar’s first electric car had to be an SUV, he points out. The market’s as hot for them as ever, and the unique I-Pace ‘skateboard’ platform needed the extra height to accommodate large battery banks beneath the occupants. But Callum’s happy with all the ‘real Jaguar’ comments that have come his way, pointing out that the revolutionary short nose and cab-forward design, permitted by the lack of any need to accommodate a complex, 350kg rubber-mounted lump under the bonnet, mean the front and rear screen angles can be a lot ‘faster’ than those of other SUVs, and also allow a very long roof, a substitute in a sense for a long bonnet. Callum says he has no regrets about not making the car “deliberately funky” to mark its unusual proportions and twin-motor, four-wheel-drive, 395bhp powertrain, although – thinking aloud – he wonders if they should have done the grille a little differently, to show it comes from a different family. “Perhaps that’s one for the facelift,” he says. Another I-Pace discovery: silent motorway travel on balmy days, especially with strong off-throttle braking instantly available, makes distances melt. We stop a few times for pictures, chatting a lot and watching the world going by (curiously more awkwardly than us) and noting how amazingly little road noise is generated by the 22in wheels of our late prototype as it cruises somewhat in advance of 70mph. It’s vital that the rest of the car is as refined as the powertrain, says Callum, fretting now and then about a squeak behind the fascia he feels is spoiling our progress. But he believes the air suspension (three levels over a height range of more than 90mm) and the fact that even the 22in wheels wear generous 40-profile tyres are the car’s best tools for killing road noise. Under the direction of Zap-Map, we stop again for a one-hour shot of 50kW power in a Garforth shopping centre, taking coffee across the road in a totally charming cafe that occupies the former station master’s cottage. This is life for electric car owners, we agree. 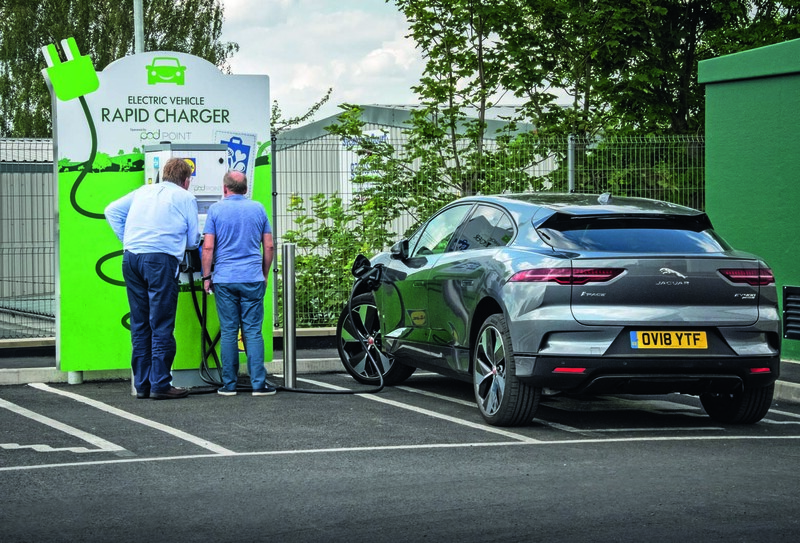 You may lose time compared with petrol car journeys if you’re foolish or unlucky enough to leave home without a full charge, but you’ll see much more of the wide world than you would have done. We roll into Whitley at around 6pm, having first expected to be there at least an hour earlier. Callum rarely has 90 minutes to waste, but he’s sanguine about it on this occasion. The I-Pace has proved itself. The comforts, quietness, discreet poke and joy of driving have all been well proven. He’s quietly proud of the car, which patently deserves its long waiting list of buyers. In fact, all seems right with the world – apart from that squeak behind the dashboard. Bright and early tomorrow, says Callum, his best technicians will pulverise it out of existence. 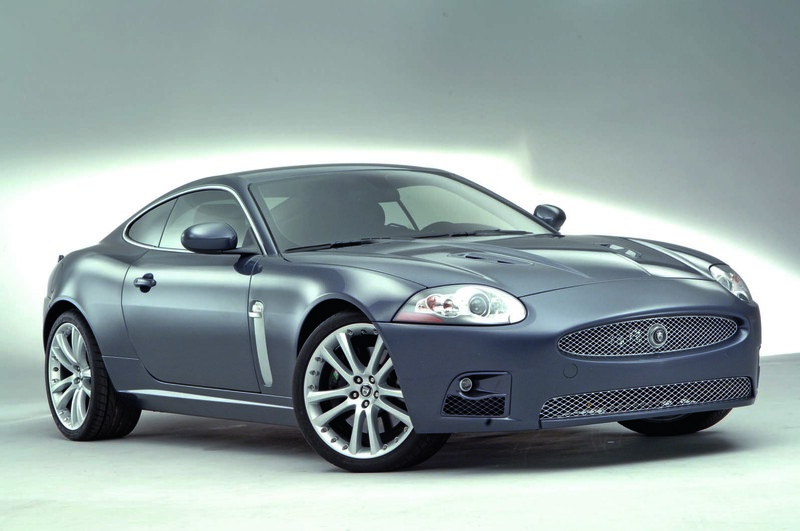 JAGUAR XKR - Launched 2007: Second-generation XK sports car, first shown at Frankfurt in 2005, was the first all-Callum Jaguar. Much management indecision over styling direction caused long delays; front air intake followed the E-Type with a simple elliptical shape, not repeated. Dropped in 2014 in favour of the F-Type. 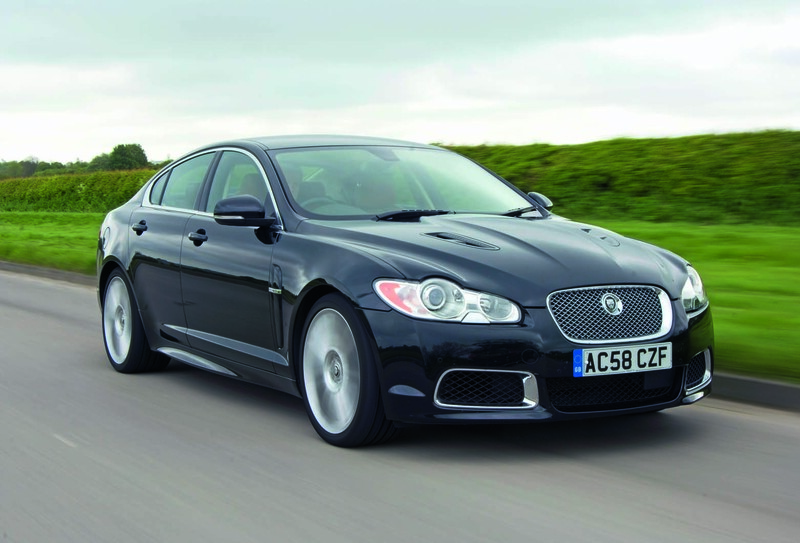 JAGUAR XF - Launched 2008: Shown first as the C-XF concept, it brought a new look to the marque, in effect jumping two generations at once. Controversial at first, the shape — including a new 3D grille treatment that re-interpreted William Lyons’ original, 1968 XJ grille — soon won universal acceptance. 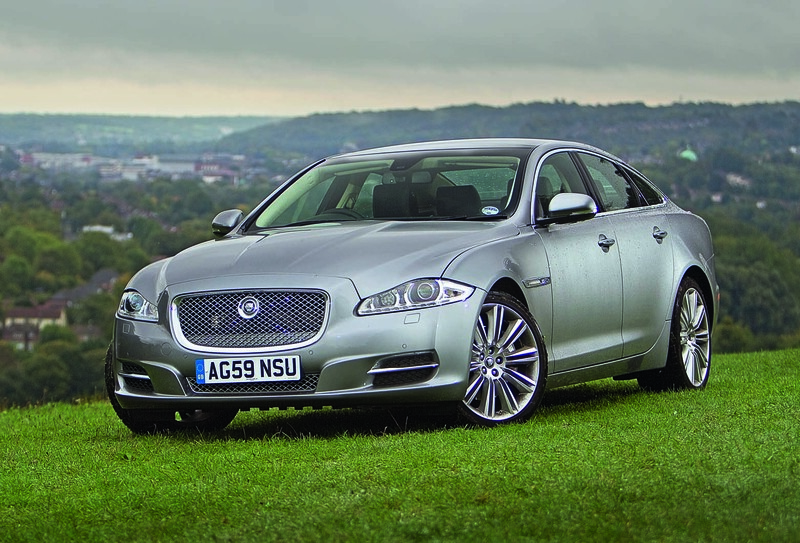 JAGUAR XJ - Launched 2009: Jaguar’s limousine, intended to battle the BMW 7 Series and Mercedes-Benz S-Class, moved the XJ upmarket. It shows clear styling links with the XF, but a bigger and squarer grille plus controversial ‘cat’s claw’ rear lights make this flagship saloon unmistakable. 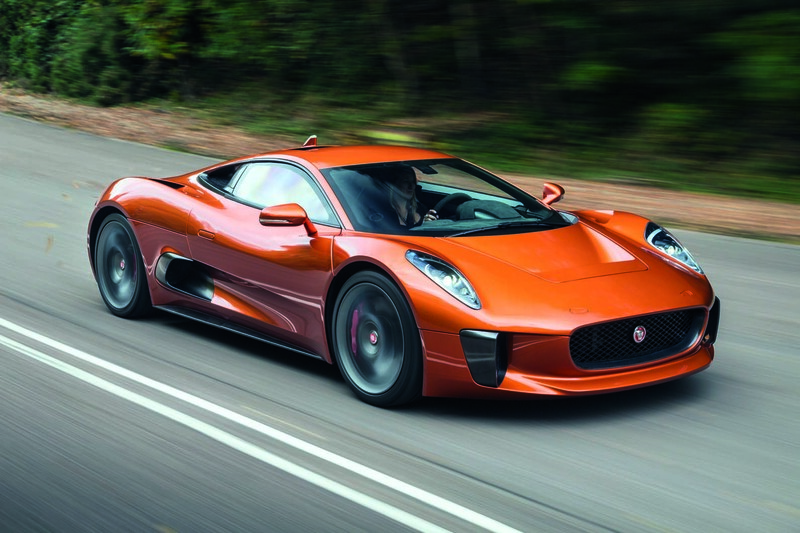 JAGUAR C-X75 - Show debut Paris 2010: Radical £700k hybrid two-seater originally had two gas turbine range-extender motors feeding an electric motor per wheel. Planned for limited production, but canned. The handful of road-going versions built had two electric motors fed by a twin-charged petrol 1.6-litre. 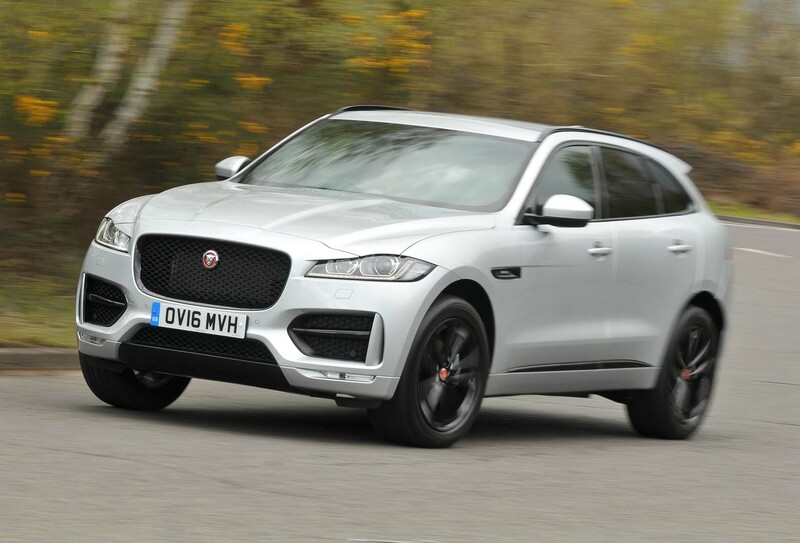 JAGUAR F-PACE - Launched 2016: Jag thought hard before giving in to the SUV rush. Bullish sales have vindicated the decision. Callum says extending Jag design cues to an SUV’s large, tall package was tough and took many attempts, but customer reaction to this (and the E-Pace that followed) has been very positive. This car deserves a lot of success. Jaguar are right at the cutting edge for once. It’s the most likeable ‘SUV’ by a long way - fashionable but way more clever than most. Maybe, but it isn't selling. Various reasons for that, but my view is that it should have been a Range Rover, not a Jaguar. Totally understand the reasoning behind the choice of Jaguar's brand beign used to launch their electrification programme. Ultimately, its a great great car with naff brand.Jaguar needs to be spun off to PSA Group with Land Rover and Volvo merging. That would be the best thing for Land Rover's future but the ridiculous decision by Ford to merge two totally incompatible brands is pulling the company down. Good idea, good car, well engineered, but the brand is killing any possibility of it being 'great'. Maybe, but it isn't selling. Various reasons for that, but my view is that it should have been a Range Rover, not a Jaguar. Totally understand the reasoning behind the choice of Jaguar's brand beign used to launch their electrification programme. Ultimately, its a great great car with naff brand. Why do you think its not selling? 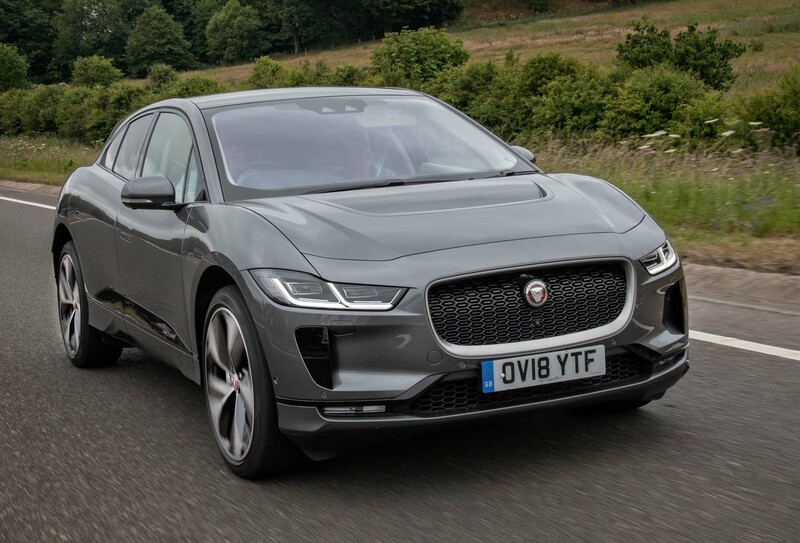 "Jaguar says it has over 25,000 confirmed orders for the I-Pace, with customers in big markets in Europe and the U.S. placing "four-figure" deposits, despite the not knowing the exact final price. That order book is almost two year's worth of production at Magna Steyr's contract manufacturing plant in Graz, Austria," - thats a comment that they put out in 2017 before the Frankfurt motor show. Really, "it isn't selling"? I heard there was a waiting list going by the I-Pace forum. Evidence please and please don't just 'disappear' after a statement like that. No that's a mistranslation or a stupid 'journalist' confusing firm orders with actual production figures. Many orders, but production only ramping up in a fairly slow and measured way seems to be the reality. Please check your facts before spreading this disinformation. He's the best in the business. Much of Aston's success was down to his designs. The DB7, Vanquish, DB9 and even the V8 Vantage. Now his designs have turned around Jaguar. Ford improved the quality systems, but Callum moved on the looks. Not an easy job - he struggled to convince management he was right. Now Jaguar have out done Tesla with their SUV. They deserve every success. PS - I want one! 1. The driver’s seat doesn’t go far enough rearwards, or why is Steve Cropley hunched over the wheel? 3. The steering wheel won’t adjust far enough away from him. 5. He hasn’t realized that power steering has been invented and now you don’t have to apply massive force to steer a car/hasn’t modified his seating position in the last 30 years. 6. He doesn’t know how airbags work, or he’d get as far away from the explosion as possible. Just joking, really, this is (probably) a great car, far easier on the eye than a Model X and I wish Jaguar well.